This beautiful book by Sam Moorhead contains over 800 coins are illustrated in over 1600 colour photographs showing both obverse and reverse for each coin. There are also over 30 distribution maps. 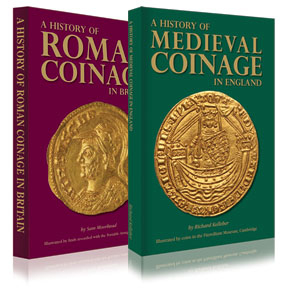 The book provides a chronological overview of Roman coinage from 300BC to the early 5th Century AD with an emphasis on the coinage used in Britain.